So here we are again. I didn’t blog yesterday, mostly because I was only home for a few hours in the middle of the day. Between working 10:00 am to 3:00 pm and all my friends leaving town this or next week, I don’t have much time. Yesterday was an evening out (started at 6 pm and ended at 11 pm, no drinking involved) and was a great kind on final get together. 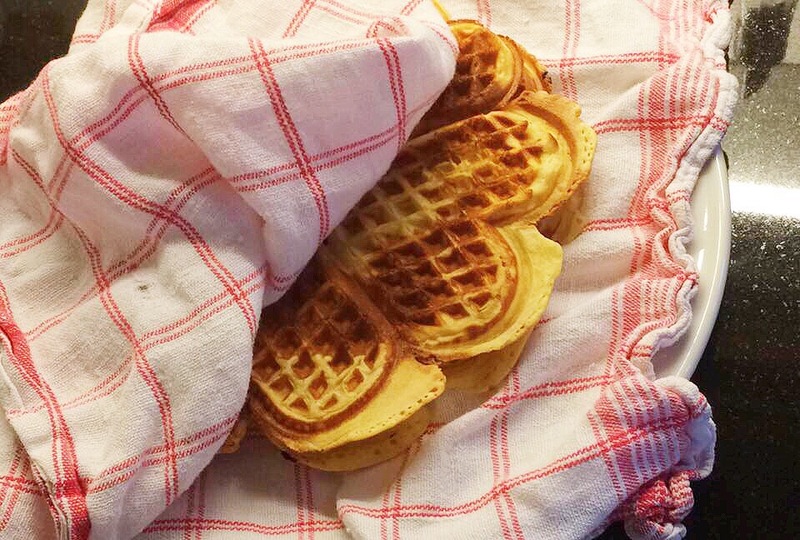 Today I treated my dearest American to typical Norwegian waffles after work before he leaves the country in a few days. Nice way for us both to relex, after work for me, after a day of packing for him. I’m really going to miss waffles when I move, so I’m gonna have to stock up before I leave and just pray that I survive until I get back. Tomorrow is going to be exciting though. Wanna know why? I’m vlogging! I’ll be going to work and to meet the aforementioned American for coffee, and although neither of those will be vlogged directly, I’ll bring my camera. I am honestly so excited to be vlogging again and it’s just getting me more excited for when I move out. What Made My Morning Great?